This video demonstrates the standard index finger wrap around test site. 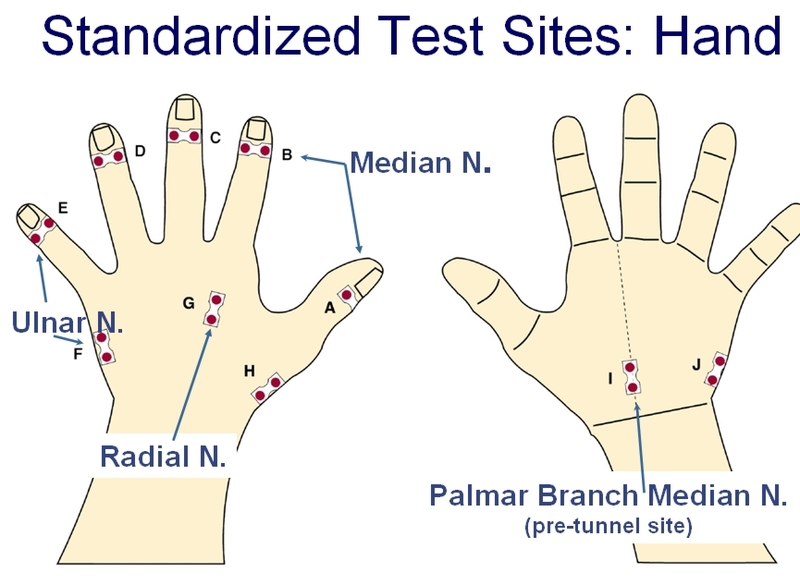 Testing at site "B" evaluates the functional integrity of both the medial and lateral branches of the digital median nerve. This is an ideal location for evaluating for carpal tunnel syndrome.